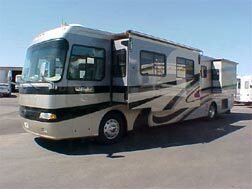 Why do you want to purchase a motor home? Is it to travel across the country or just up to the local university for some good tailgating before the football games each weekend? Have you been thinking about investing some money in a new home away from home and are ready for the tax benefits? Whatever your reason may be to start the process of searching then purchasing a new or used recreational vehicle, a Monaco motor home might be just the perfect and ideal recreational vehicle for you! A Monaco motor home can offer you not only luxurious living areas and high-end amenities, a Monaco motor home can offer you a smooth ride all across all of the United States highways. Your first RV experience should be as easy as it is exciting. You are about to embark on a whole new journey, so don’t you want a well-built, high-quality motor home to experience it in?! There are numerous reasons why you should choose for your first motor home something from the Monaco family, but here is a list of the top 3 for you to think about. Of course, you should get on line and do some research for yourself. Call any of the customer representatives at Pedata RV Center to assist you in finding the perfect new or used Monaco motor home for your first RV buy. A Class A Monaco motor home is large, similar body shape to that of a bus. The front window is flat and offers you a panoramic view of the road and all the scenery passing by you as you drive. The Class C Monaco motor home has a body similar to that of a large U-Haul van, where there is an extended space above the cab (where you sit to drive). Both have the option to make it as luxurious or as basic as you need to fulfill your traveling dreams. 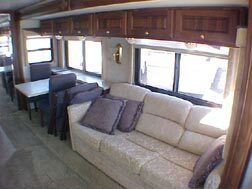 Once you decide on the style of body you want in your RV, you can then spend your time on the floor plan and amenities. The Monaco Class A RV comes as both a diesel pusher or a regular gas powered RV. There are pluses and benefits to both types of motor. The difference is in the chassis, which is the underlying core of the RV. Basically, a diesel pusher is built where the chassis is in the rear of the body of the recreational vehicle. Monaco makes its own special diesel chassis. A gas motor is built on a Ford or GM (General Motors) front end chassis. A diesel pusher Monaco motor home gives the recreational vehicle more power. This power can be used to tow or to carry a heavier weight. The regular gas engine is generally less expensive than its pusher counterpart, but both will guarantee you a positive first time Monaco motor home buy. It is important to note that Monaco Class C motor homes do not come with a rear end diesel engine, only gas powered. The Monaco RVcan be as luxurious as you dream for it to be. You can have a CB radio antenna or heated leather cockpit seats or marble flooring or you can have it all! Once you have purchased your Monaco RV, new or used, from a great all inclusive wholesaler such as Pedata RV Center, you will be a new member of the Monaco community. There are rallies and clubs to participate in. There are magazines made and tailored especially for you. You will enjoy your first RV purchase no matter what, but make it a Monaco RV and you will experience joy! >> Shop Used Recreational Vehicles Online!